On request! Hospital Tycoon for Mac has been added to Porting Kit and Crossover! Game works very nice and a real recommendation to simulator game fans! If you like games as Theme Hospital or Space Colony HD, then Hospital Tycoon is a the real deal! Enjoy this one! 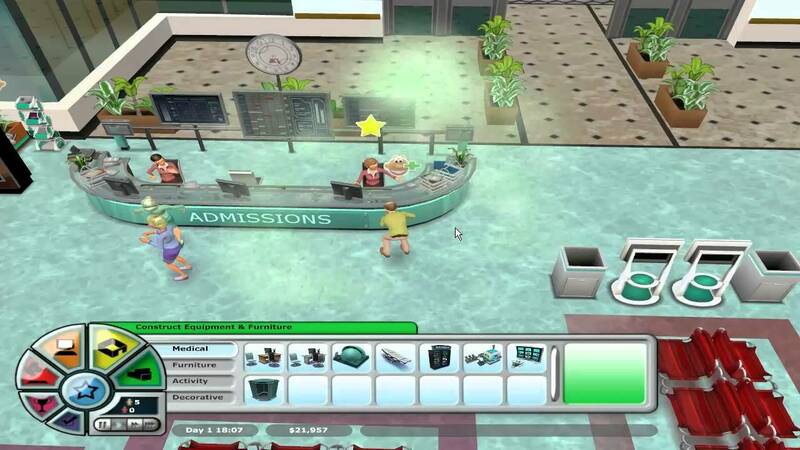 Hospital Tycoon is an hospital management simulation that is easy to start, but impossible to put down. It’s time to start operating! 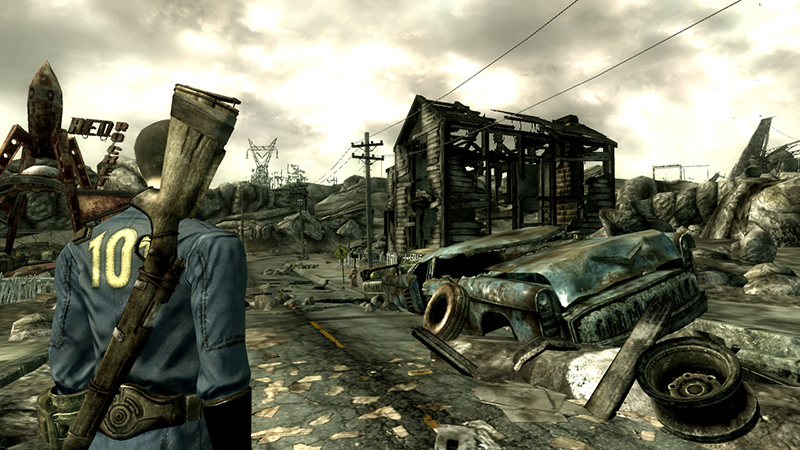 Fallout 3 for Mac is added to Porting Kit! Thanks to Vitor who found a way to fix a known issue for Intel Cards in the wrapper, we all can play this great game now. Although its an older game, the system specs needed for the game are decent and needs that’s why a decent Mac with some video ram. 512mb GFX memory is no luxury here. Have fun! 1. 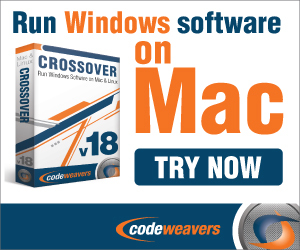 Make sure Crossover is installed before downloading/running the CrossTie. Or use Porting Kit. 2. Get Fallout 3: Game of the Year Edition, (=steam serial) if you don’t own the game yet. 3. Use this CrossTie... to install the Steam game into Crossover or search for the game in porting kit and click install. 6. Activate the Serial and download and play! Thats it! Don’t forget to check out Fallout 3, Fallout, Fallout 2 and Fallout Tactics as well! Great news! Civilization III for Mac has been added to Porting Kit! The game is not longer native for Mac for a while so, that’s why many requests for a port for the game. Well here it is! Although the game itself works great, there is a music bug which causes the music to get stuck after a while playing, in that case, you have to turn of the music so only Sound FX will be there. A small price to pay, for such an amazing game. Oh one more thing, the Windows Steam game is only priced $3,99 on Games Republic, so get it cheap there (if you don’t own the game yet)! Thunder Wolves for Mac is an awesome helicopter action game with a fun story and nice characters. The game has loads of weapons, 9 helicopters and a bunch of missions and local co-op! Games works awesome on my Intel Iris iMac and great on my low-end Macbook Air. Enjoy this action filled arcade shooter! The Thunder Wolves have already made it through countless battles. They are equipped to destroy their enemies—destruction is part of their business. Put yourself in the pilot’s seat of a combat helicopter and become a member of the most experienced and dangerous helicopter team in the world! I am glad to announce that we added Silent Hunter IV for Mac now instead! The game works simply perfectly on Nvidia and AMD Radeon Mac’s. For Intel HD/Iris you will find a few small glitches in for examples in some water splashes (when shell hits the water). For the rest it works for those cards fine as well. The game can be launched without interference of Uplay, although Uplay is needed once to install the game. So I created an extra shortcut to launch the game directly from the Porting Kit (without opening Uplay). Have fun! 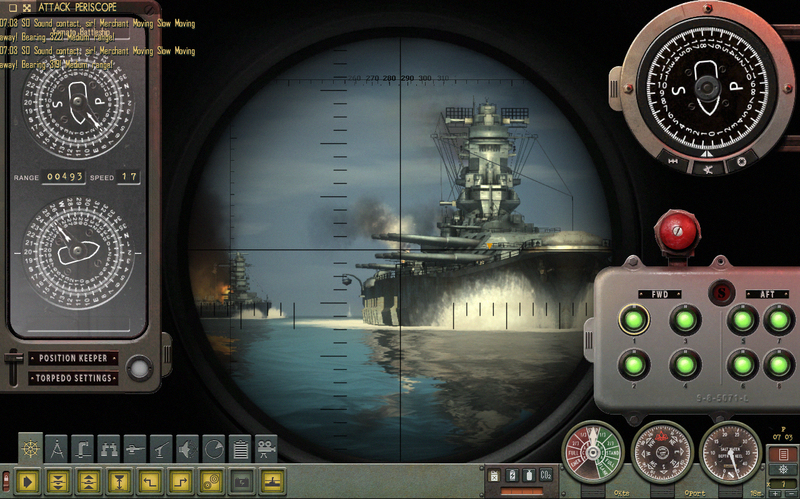 Silent Hunter, the industry-leading naval warfare simulation franchise for over a decade, returns to its roots with next-generation graphical realism, immersive gameplay, innovative crew evolution and more action than ever before. Developed by the same Ubisoft team that delivered Silent Hunter 3, the “king of sub games”, to worldwide critical acclaim, the 2007 instalment offers the most memorable, accessible and empowering submarine simulation experience ever. Its already a while in the Porting Kit database, but did not made a post of it yet. Pro Evolution Soccer 2016 and Pro Evolution 2015 (you can play it both in same wrapper) Mac! Tested the game for a while and works great (with keyboard), even on my low-end Macbook air Mac! As already mentioned, I checked keyboard and that works fine, less lucky I had with 2 joypads, which were not recognised by the game. That doens’t mean that your controller is not recognised as well, but just want to mention it. Besides that, yeah, after playing a few matches, I didn’t run into issues. Have fun! From its humble origins on PSOne, the PES series has leaped from format to format, adding ever more realism as it evolved. This heritage has been celebrated in PES 2016‘s new tagline ‘Love The Past, Play The Future’, highlighting the series’ recent return to core PES values in last year’s PES 2015 and focusing on the many new gameplay and presentational elements that will further establish the series as the definitive football experience. Thanks for some feedback of portingkit user I announce a Max Payne 2 Mac port in the Porting Kit. If you liked the first Max Payne, then you will also like Max Payne 2. Enjoy this one! Max Payne 2: The Fall of Max Payne is a violent, film-noir love story. Dark, tragic and intense, the in-depth story is a thrill-ride of shocking twists and revelations. It delivers an intense gameplay experience, featuring fierce, yet stylish action sequences and the slow-motion gunplay that has become synonymous with the Max Payne series. His life in ruins, Max Payne finds himself back in the NYPD. During a routine murder investigation he runs into Mona Sax, a woman he thought dead, a femme fatale murder suspect. She holds the keys to the questions that haunt him. But nothing is simple in the dark and tragic night of New York City. An army of underworld thugs stands between Max and the answers he seeks. His journey deeper into his own personal hell continues. Max Payne’s signature slow motion gunplay has been improved on every level. Get ready for Bullet Time 2.0. New guns and new moves make action more cinematic and intense than ever before. Interactive environments, ragdoll characters and slow motion create breath-taking combat scenes. All new AI – cooperating NPCs fighting with Max and more believable enemies create tension and more interesting and varied challenge. A stunning level of detail: Extremely detailed environments with photorealistic textures, highly enhanced radiosity lighting and extremely lifelike characters (including facial animations & lip synchronization) provide a visually staggering cinematic experience. Massive production values – including a motion picture stunt crew, professional talent for voice acting and graphic novels, motion capture and authentic digital source material from New York City. Great news! Red Faction Guerrilla for Mac is added to porting Kit! Simply click “install” on the game page in Porting Kit and the Windows Steam will be installed. Then login and install the game and play! The game runs very well on even my low-end Intel HD5000 Macbook Air. Set 50 years after the climactic events of the original Red Faction, Red Faction Guerrilla allows players to take the role of an insurgent fighter with the newly re-established Red Faction movement as they battle for liberation from the oppressive Earth Defense Force. Red Faction: Guerrilla re-defines the limits of destruction-based game-play with a huge open-world, fast-paced guerrilla-style combat, and true physics-based destruction. Open World Guerrilla Warfare - You decide who, when, where and how to battle. Utilize guerrilla tactics, improvised weaponry, and modified vehicles to lead insurgent attacks on EDF targets. Launch attacks based on your own gameplay style, take on missions in any order you choose, or engage in destructive activities to weaken the EDF’s grip on Mars. Strategic Destruction - Use destruction to your tactical advantage, setting ambushes or chain reaction explosions to attack enemy strongholds and permanently modify the game environment. Leverage fully-dynamic physics-based destruction to improvise on the fly: blow holes in a wall or floor to set an ambush or escape, take out a staircase to stop your pursuers, or drive vehicles through blown out walls. Evolving & Emergent Gameplay - Carve your path through an ever changing landscape as you improvise your combat tactics – mixing gameplay styles, vehicles, weapons and explosives to defeat the EDF. Epic Sci-Fi Setting - Explore the huge, unforgiving Martian landscape, from the desolate mining outpost of Parker to the gleaming EDF capital city of Eos; then tear through the fully destructible open-world environments swarming with EDF forces, Red Faction resistance fighters, and the downtrodden settlers caught in the cross-fire. As you may know, Mafia II Mac has been released for Mac a while back, but since a while not available anymore at the Mac store or at the Feral Interactive Website. So thats why I re-added the game into Porting Kit! So this way you can still play this popular action game on your Mac! I added the Windows Steam port into Porting Kit so it will download install that first, then, when you login into your (windows) Steam account, you can add the Mafia II serial download and play the game in the Porting Kit! Oh, and for 13 more hours the game is 80% off! Have fun! 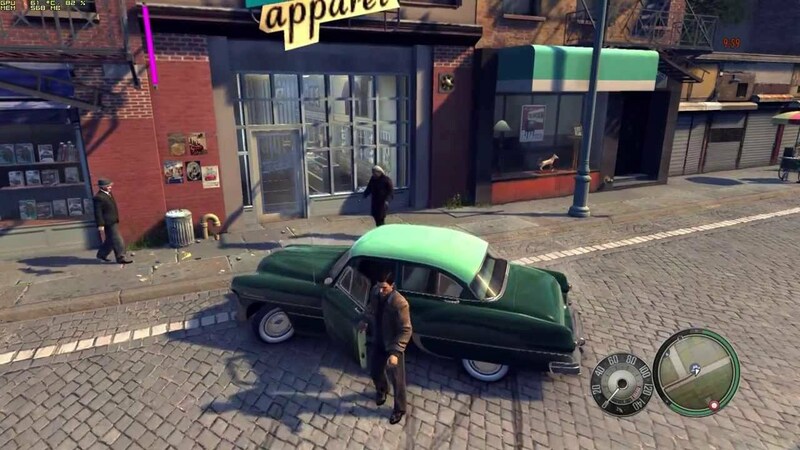 Mafia II, a sequel to critically acclaimed Mafia, is a shooter and driving game set in the period immediately after the second World War in the USA. Expanding upon the original hit that captivated more than 2 million gamers around the world, 2K Czech takes players deeper into the Mafia with a mature and compelling narrative that will immerse players like never before. From the mean streets of Little Italy and Chinatown to the dizzying heights of its glittering skyline, find out if you have what it takes to be somebody in the city of Empire Bay. Immerse yourself in a violent criminal underworld in an all-consuming quest to become a man of honour. You like Disney Games? Then we have some good news, Toy Story 3 for mac is added top Porting Kit! The game works even very well on my low-end Intel HD gfx Macbook Air! Install is very easy as the rest of the games in Porting Kit. Simply open the Porting Kit, on the library –> Server tab search Toy Story 3, and click install. This will install the Windows Steam into Porting Kit. Then login and add the serial you got from Kinguin and download and play! 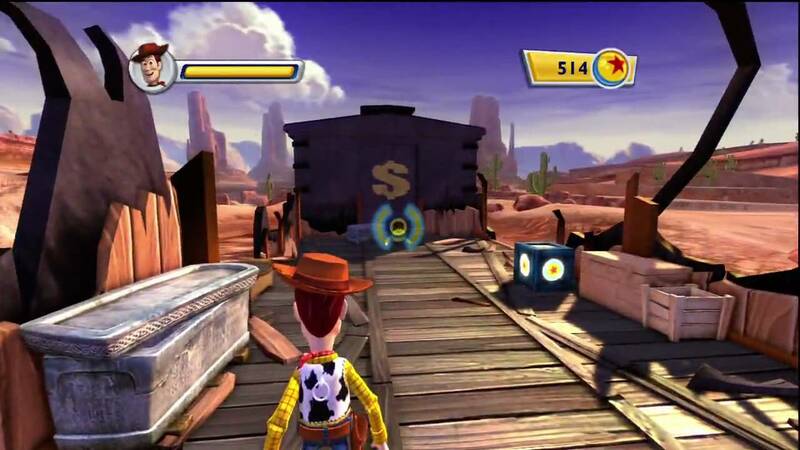 Toy Story 3 is a platforming game that lets you relive the events as seen in the movie – only slightly altered for gameplay’s sake – in the story mode and let your imagination run wild in the Toy Box open mode. There is nothing like getting a shiny new toy, its fresh paint sparkling with possibilities – and Toy Story 3: The Videogame glitters from the moment you take it out of the box. Taking its presentation from the excellent movie, the game features bright and colourful visuals that look sensational in full High Definition. Woody, Buzz Lightyear and their playful buddies are just as charismatic as their film inspiration, bringing all their animated quirks and characteristics to your TV screen.